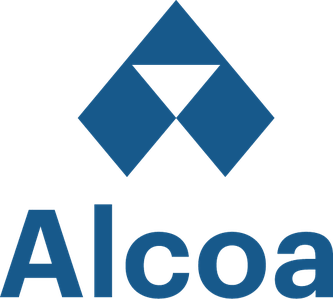 Alcoa is a global industry leader in bauxite, alumina and aluminum products. Our Company is built on a foundation of strong values and operating excellence dating back nearly 130 years to the world-changing discovery that made aluminum an affordable and vital part of modern life. Since inventing the aluminum industry, and throughout our history, our talented employees have followed on with breakthrough innovations and best practices that have led to efficiency, safety, sustainability and stronger communities wherever we operate. This kind of operating excellence takes a special kind of team, made up of special people. One of them could be you. We have an opportunity for a suitably qualified and experienced Procurement Manager to join the Bauxite Procurement Operations team. The role will be based at the Huntly mine site and support the Huntly and Willowdale mine sites. leveraging location indirect procurement spend with sustaining capital. driving Continuous Improvement and Supplier Integration. As a nationally recognised employer of choice for gender equity and advocate for gay, lesbian, bisexual, transgender and intersex inclusion, Alcoa encourages applications from women, people of diverse backgrounds and those with different skills and life experiences. Our values – act with integrity, operate with excellence, care for people – are at the foundation of everything we do. Working with business operations to align the procurement strategy with the business strategy. Development of operations strategies and provide input to short- and long-term business planning process. Achievement of favourable working capital position. You will be an exceptional communicator who has experience working across functions, with senior leaders and influencing colleagues with varied and global perspectives. We are looking for an energetic, astute team player who can excel in a demanding work environment, while taking care of a portfolio and supporting, coaching and mentoring a team to align with a diverse global procurement organisation and programs. Huntly Bauxite Mine is located in the Darling Range near Dwellingup, approximately 100 kilometres south of Perth. It is the world’s second largest bauxite mine, supplying ore to Alcoa’s Pinjarra and Kwinana alumina refineries. Approximately 620 people work at the mine. Alcoa employs approximately 4,300 people in Western Australia (WA) and Victoria; most of our employees live regionally and our head office is in the Perth suburb of Booragoon. Alcoa has been named an employer of choice for 16 consecutive years by the Federal Government’s Workplace Gender Equality Agency (WGEA), and Alcoa of Australia’s Chairman and Managing Director Michael Parker is a WGEA Pay Equity Ambassador. Alcoa is an active and supportive partner in the community. The company sponsors ideas and opportunities important to local people such as addressing mental health, inspiring youth, promoting environmental education and highlighting health and safety. Alcoa has been contributing economically and socially in Western Australia and Victoria for more than 50 years. More than 75 per cent of Alcoa of Australia’s total annual revenue stays in Australia through wages, local purchasing, taxes, royalties, capital investment and dividends to Australian shareholders. It is Alcoa's policy that all employees must advise their immediate supervisor or manager of their application prior to applying. You will only be contacted if you are shortlisted for an interview, this process can take up to four weeks from the closing date. - leveraging location indirect procurement spend with sustaining capital. - driving Continuous Improvement and Supplier Integration. - Working with business operations to align the procurement strategy with the business strategy. - Development of operations strategies and provide input to short- and long-term business planning process. - Achievement of favourable working capital position. It is Alcoa&#39;s policy that all employees must advise their immediate supervisor or manager of their application prior to applying.